GRP construction with bow ramp, four point lifting arrangement, deck tracking system for maximum modular capability, vertical jacking outboards for performance enhancement and shallow water running. This vessel represents the current thinking in manned small patrol boat design. 11 patterns nested into 7 units machined and transported within 2 weeks of issuing surface models - less time than would take to prepare drawings for conventional pattern fabrication. Principle role is for club rowing when crew numbers fall short of rowing larger coastal rowing boats and gigs. 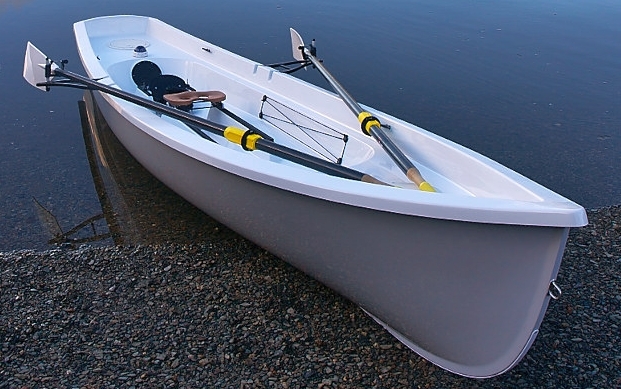 The boat can be sculled as a single, double, triple, coxed single or coxed double making her an extremely useful club boat. Structured for epoxy bonded lapstrake plywood and painted finish for club members or professional build. Principle design engineer in the development of an 8.5m Commercial Landing Craft suitable for general duties, fire control, oil spill response, emergency rescue, police patrol, fish farming, remote settlement supplies, etc. Structure in aluminium with CNC cutting profiles for rapid assembly. 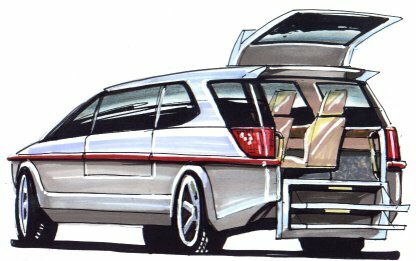 The design brief for this vehicle included economy of build and operation resulting in the use of ‘off the shelf’ components fitted to a conventional GRP hull. The final product being simple in manufacture but striking in appearance. Liaising with certifying authority for passenger certification. 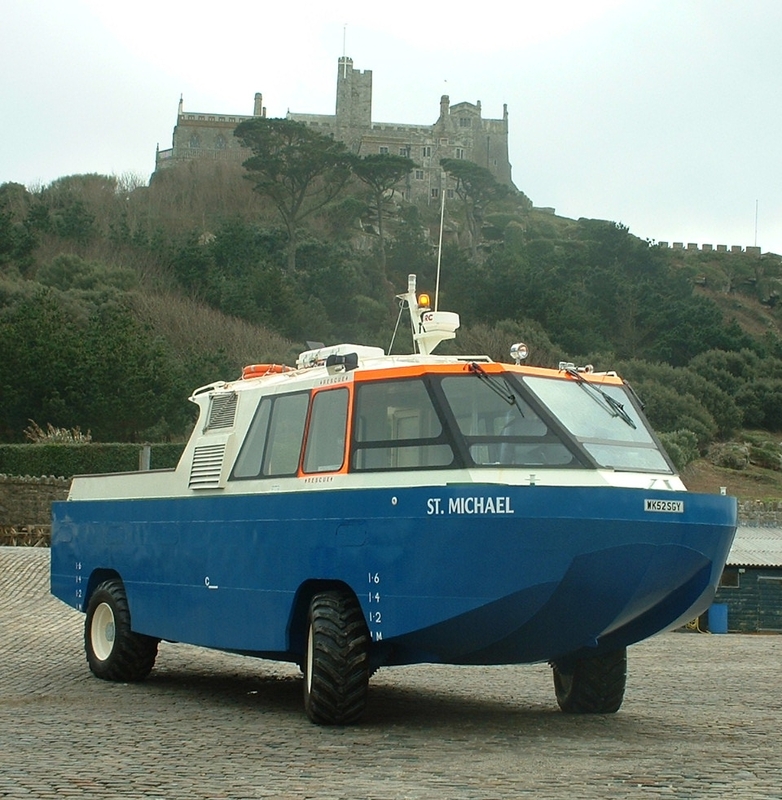 This vehicle being used during winter months to service an island community and has proved to be an extremely seaworthy and reliable vehicle. Used daily through beach surf and capable of emergency service. 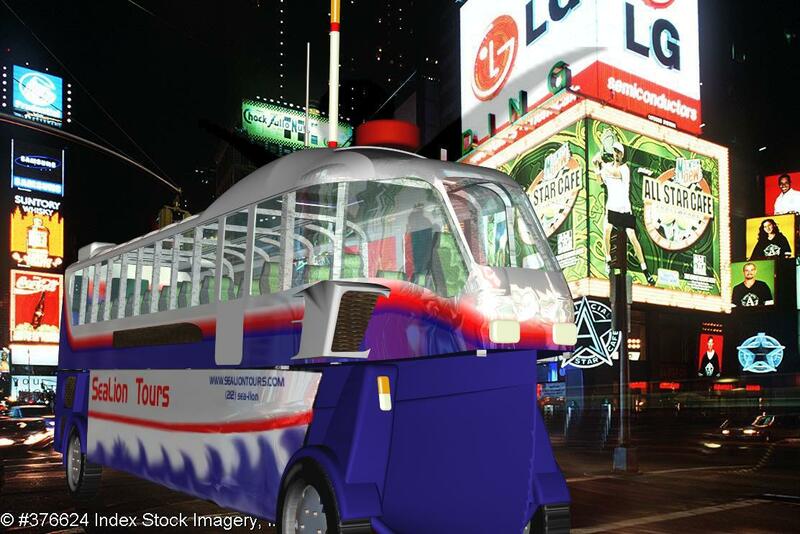 The vehicle specification includes steel/aluminium fabrication, twin diesel/propeller propulsion, full off-road capability and passenger carrying certification. 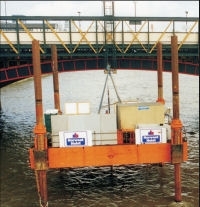 Principle design & mechanical engineer for development of modular lift platforms used in the marine offshore sector. Design development included a modular system allowing multiple units to be transported as containers, assembled locally and self powered to jacking site. 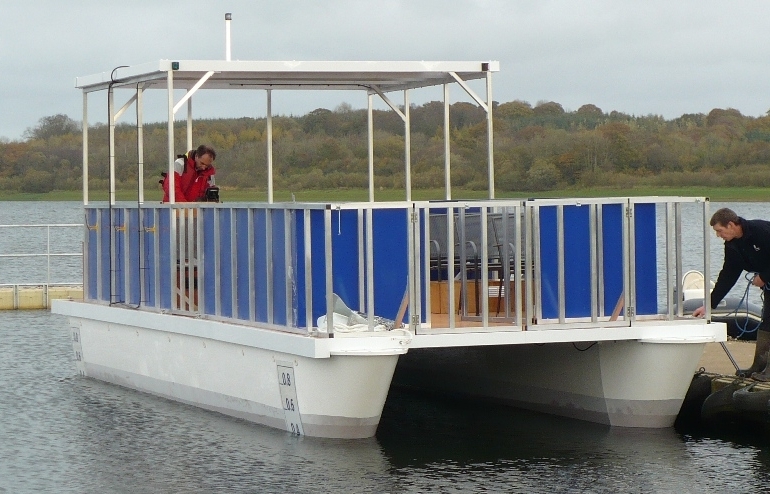 Detail design included Operating & Design Conditions, Modular Deck, Legs, Jacking & Locking Mechanism, Structural and FE Analysis, Load Line & Stability and Development of a Patented Pontoon Locking Mechanism. Principle design & mechanical engineer for development of modular lift platforms used in the marine civil engineering sector. Vessel Structural & Operational Upgrading including re-design of legs, jacking mechanism, hull structure, etc. This project involved research, design and testing culminating in the manufacture of production tooling. The vehicle specification included advanced composite structure, waterjet propulsion, 26 knot performance and full marine/land passenger carrying certification. 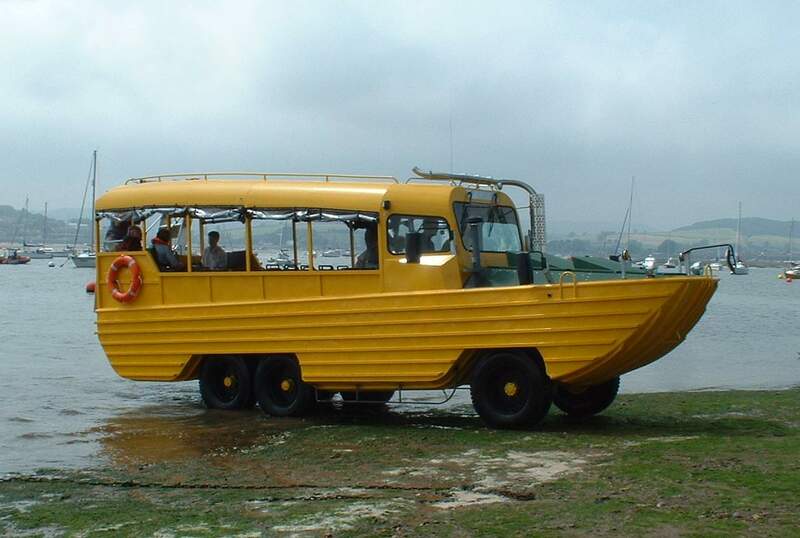 Principle design & mechanical engineer assisting the UK client in the complete re-build of a DUKW Amphibious Vehicle. 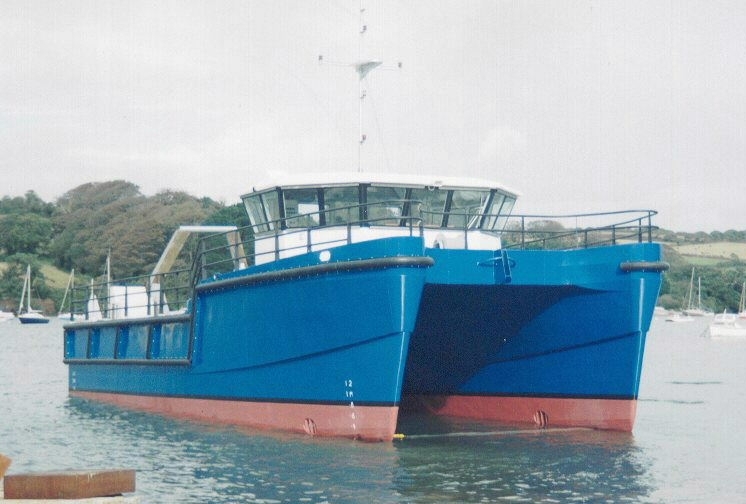 Work primarily consisting of improvements to the structure and specification to meet MCA Passenger Vessel Rules. Project manager of full build, responsible for organising sub-contractors, material & equipment ordering, liaising with designers, certification authorities and end users. Full system commissioning including propulsion & generating machinery, hydraulic, electrical, fuel, bilge, fire freshwater, high pressure air, steering, winches, gantry and manoverboard. Survey & preparation of stability data for 26 yachts, various types, for certification by MCA. Structural design to Lloyds SSC rules, with optimised structure for minimum weight. Development and fairing of hull lines. Full stability analysis for certification. Development of variations to meet specific roles. Full development of Steel CAD/CAM 'Piece parts' to enable the vessel to be built from a 'self-jigging kit'. Preliminary weight estimate of an 80m Luxury Motor Yacht for Devonport Management Ltd.
General purpose rib utilising a 'D-Ring' collar giving greater internal volume. Full development of Aluminium Alloy CAD/CAM 'self-jigging kit' to enable economic short production runs. Steel Catamaran designed to undertake multiple roles including surveying, salvage and dive support, based in Scotland and working in the North Sea. Build Specification, detailed weight analysis, structural drawings and calculations, preliminary build cost analysis. Development of Steel CAD/CAM 'Piece parts' to enable the vessel to be built from a 'self-jigging kit'. Proposals and conceptual design, (general arrangement, scantling section, preliminary weights and hydrostatics, etc.). Structural design for submission to Lloyds including frames, stems, sterns, plate expansion, deck structure, superstructure structure, hatch details, machinery bearers, propulsion and steering geometry, full calculations, etc. - Steel. Lines plan, full weights analysis, hydrostatics (utilising MAST software), superstructure lines, large angle stability, one and two compartment floodability calculations. Build cost estimates, production times, system cost analysis, etc. Specific design work carried out on high-speed interception craft. 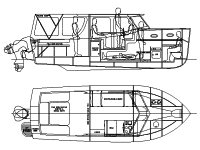 Concept work on various patrol craft configurations on vessels up to 60m in length. Full weights analysis, hydrostatics (utilising MAST software), superstructure lines, large angle stability and floodability calculations. Full mould and production drawings. Build cost estimates, production times, etc. Classic styled twin masted charter yacht with guest cabins opening onto main deck and open saloons above. Designed to operate within the Mediterranean under sail (with limited crew) and power. Sent to find suitable boat builder to take moulds from an existing 10m prototype RIB. Subsequently negotiated, drafted and signed contract on behalf of the client, and continued to act as project manager responsible for build quality, production planning, material sourcing and purchasing, importation of engines & equipment, production techniques and problem solving, etc. Based in Switzerland to liaise directly with client. All design work approved through Douglas Hinge & Associates. 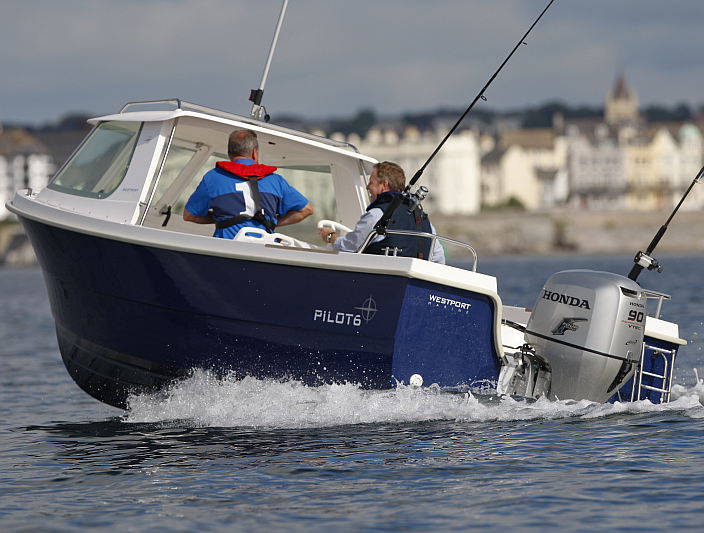 Work including development of large motor yachts, RIBs and military/paramilitary vessels. Sent to establish contacts and conduct a viability study into establishing a Fibre Reinforced Plastic production facility to build 10-14m RIBs. Full report on analysis into FRP factory including geographical location, labour and material resources, importation/exportation and transport, government trade incentives, free trade zones, local disputes, foreign investment and profit, etc. Investment and production plans created and compared to parallel investments in Britain. Sent to investigate suitability of Indian shipyards to build 42m and 55m 'Super Yachts', and conduct a viability study into establishing a Fibre Reinforced Plastic production facility primarily aimed at producing 7-18m RIBs. Establishing contact with nine suitable yards (including full reports), and subsequently entered detailed negotiation with two.